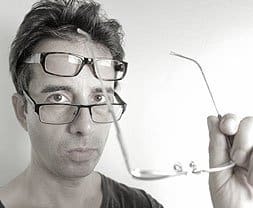 You already know the basics about how to measure diopter equivalents for your eyesight, with the centimeter measurement. 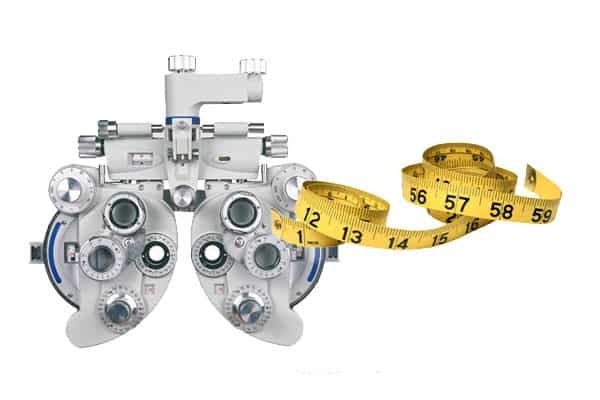 Centimeter reflects accommodated vision, which can be different from your true distance vision. Measurement accuracy is key. If you misjudge the blur point, your diopter equivalent result will not be accurate. High myopia / small centimeters create a measurement accuracy challenge. 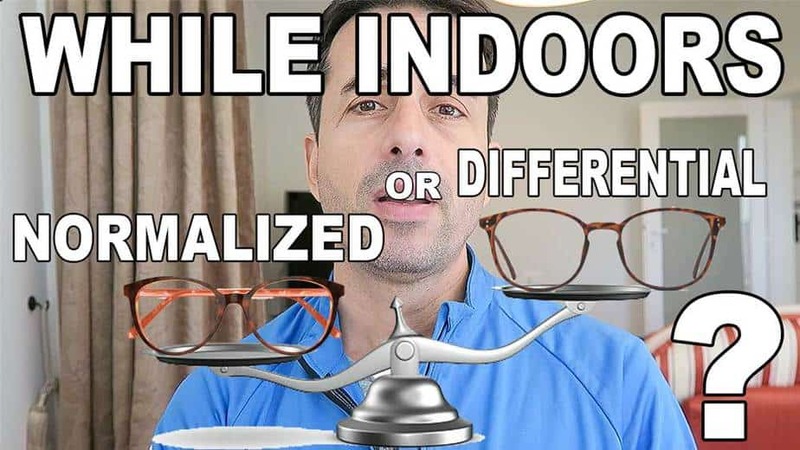 A very small amount of centimeter change equals a relatively larger diopter change. If you’re new to endmyopia and vision improvement, above may sound complicated. It’s not though, actually. Doing it, measuring your centimeters for a few days, will put it all into perspective. 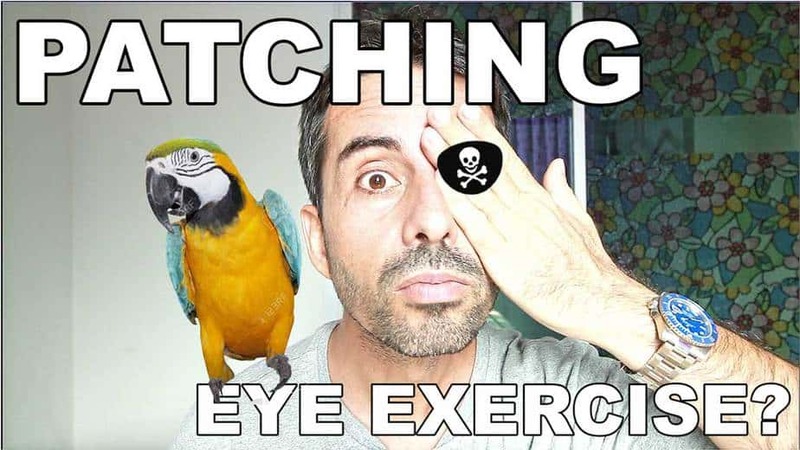 It’s actually incredibly simple, highly educational, and the first step to get you wanting to learn more about how your eyes work. I love the centimeter for creating curiosity, confidence, and as a learning tool about diopters and myopia. You probably already know that centimeter measurement is just one of the measuring tools available to you, at endmyopia. We use the eye chart to look at your vision change over time, with your lenses. The eye chart let’s you assess your distance vision, active focus progress, and a great baseline to determine the effectiveness of your current diopter choices. The eye chart can tell you things the centimeter can’t, and vice versa. Then there’s the outdoor landmark. A fixed distance street sign, a billboard, a shop window with the name prominently displayed. 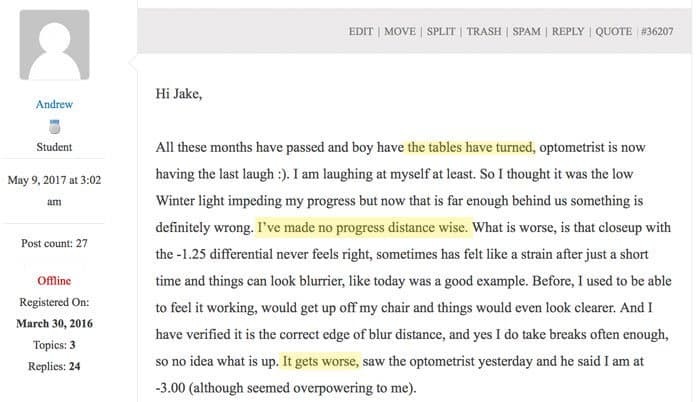 Any number of distant writing samples may be ideal to give you another baseline to gauge your true, outdoor distance vision changes. And then there are other measuring systems like the test lens kit, using plus lenses over contact lenses, and a number of other tricks and tools we discuss in the blog and in BackTo20/20. I give you a number of measuring tools, to give you a full view of your eyesight. You should experience them all, to understand which work best for your individual case, needs, and preferences. 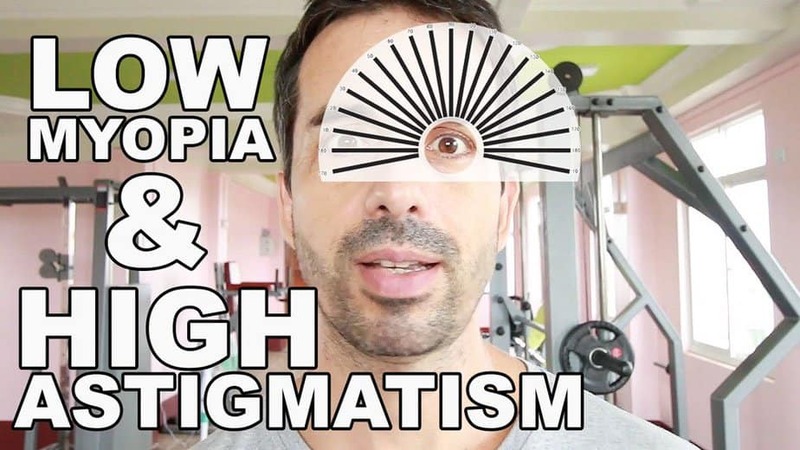 You may find the centimeter frustrating if you have particularly high myopia (small centimeter changes equal larger diopter changes here). Or you may see little improvement on the eye chart, and yet notably see better outside, with your distant landmarks. You need to understand and experience all of these tools, to make great choices to help you improve your eyesight and track progress. There’s a great thread in the support forum between Olivia, Jon, Toshiki and myself, discussing centimeter and high myopia. In fact it’s something you absolutely should read if you have high myopia (and plan to use these tools). 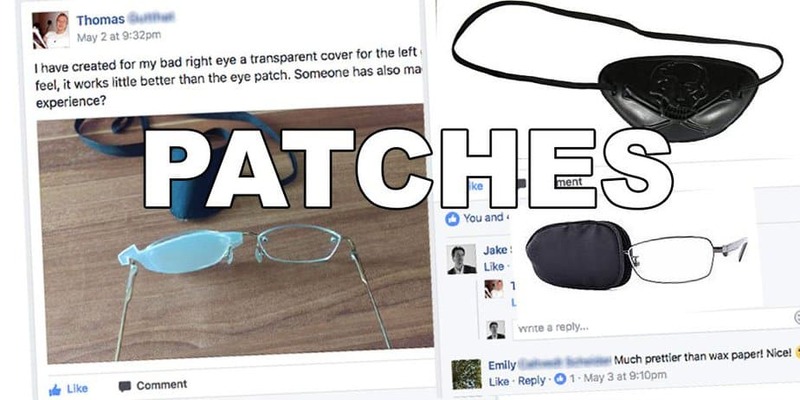 I posted the full discussion over in our Facebook group (here is that thread). Or if you are a BackTo20/20 student, you can view and comment on the thread in the forum directly, here. 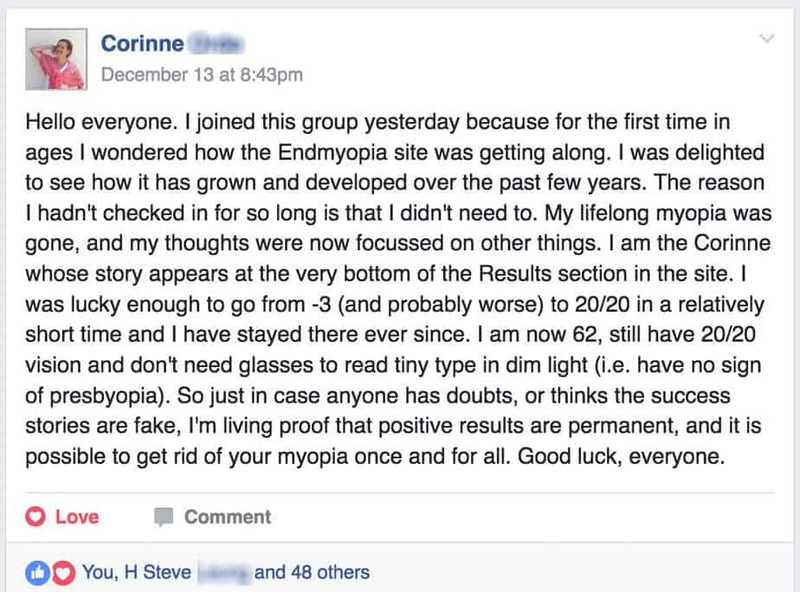 Whether or not you are a fan of the endmyopia method, the tools are universal. 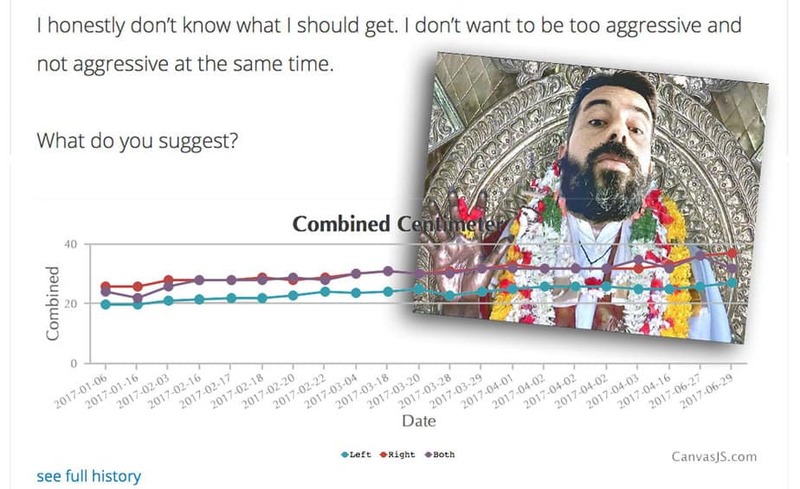 You can try Internet-Bates, or eye yoga or eye vitamins – as long as you have tools to objectively measure their effectiveness, you can conduct your own experiments and pick your own favorite vision improvement system.